It's been a hugely productive week for The Disney Den, increasing likes on Facebook, followers on here, Tumblr, and Twitter. I would just like to say thank you to everyone! 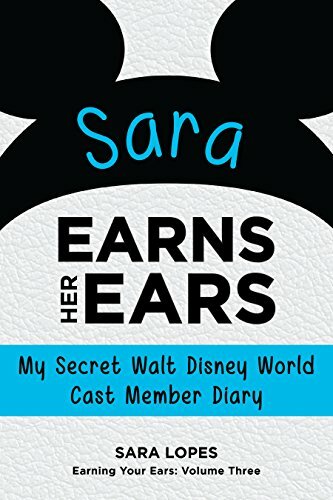 And now, the next five Disney confessions! I make my friends watch Disney movies with me...thankfully they like watching too! 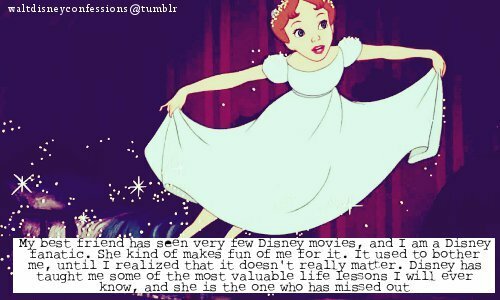 But this is how I feel with people who make fun of me for loving Disney. 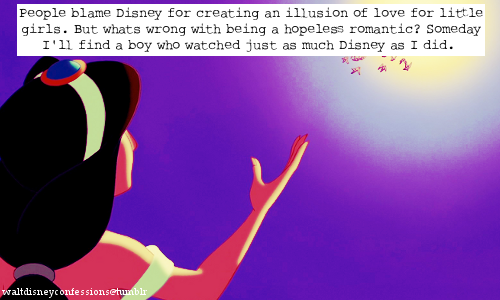 I'm sure fellow Disney fanatics can agree! This is amazing. 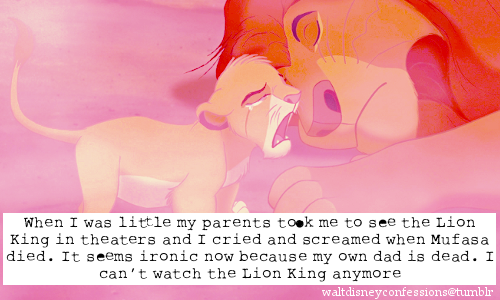 Just proves the power and magic Disney holds and shares with others. 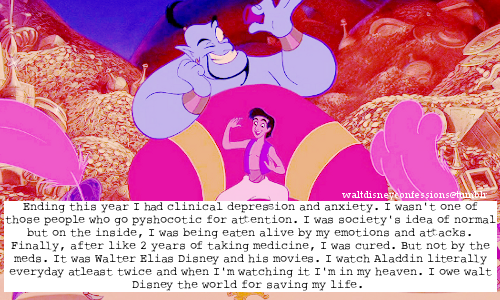 Also, Aladdin is one of my favorites! Oh dear....that can definitely be a problem. It's funny because I was talking about this to a friend last night, just kind of accepting the fact that they've influenced our view of love. I just think, it's better to be positive than have no hope, right? In my opinion, these are some pretty good confessions this week! Feel free to share your thoughts! 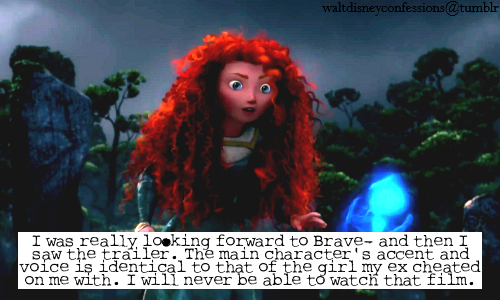 That Brave one...when I first read it on Tumblr, I was like "ooh" with a wince on my face. Not fun. 1. Are the Beatles the best band ever, or what? 2. Have you seen Aladdin?